IROKO Theatre Company bringing African culture to London. 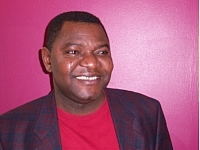 IROKO’s Creative Director, Alex Oma-Pius has given an exclusive interview to The African Voice. Click here to read the interview.